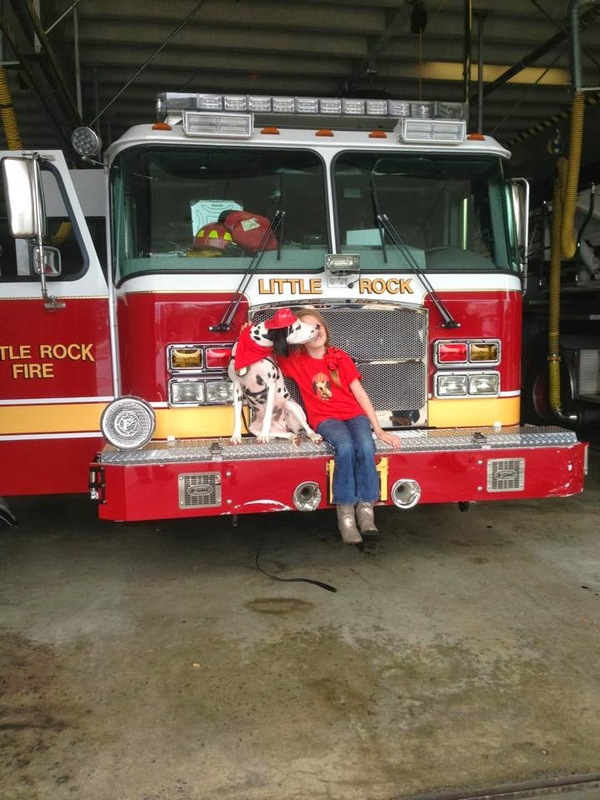 Fire Safety Rocks: Fire Safety Day in Little Rock! 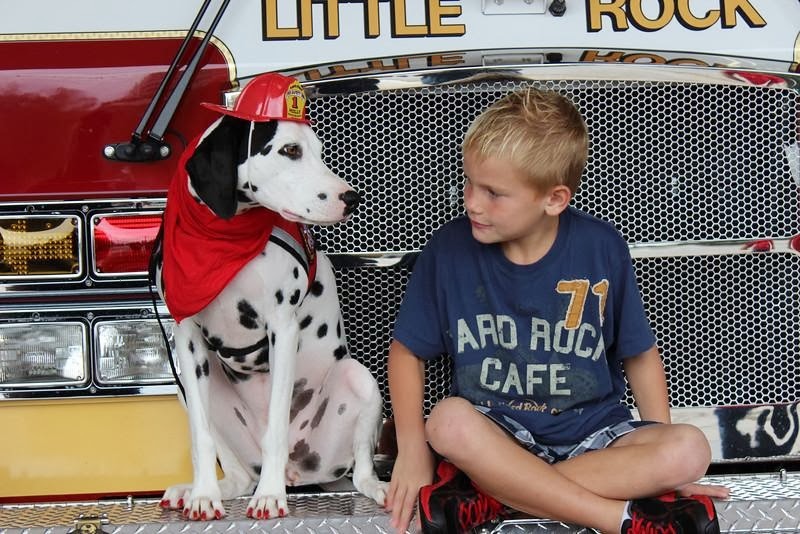 Getting ready to go to Little Rock to the Clinton Library for Fire Safety Day with the Little Rock Fire Department. 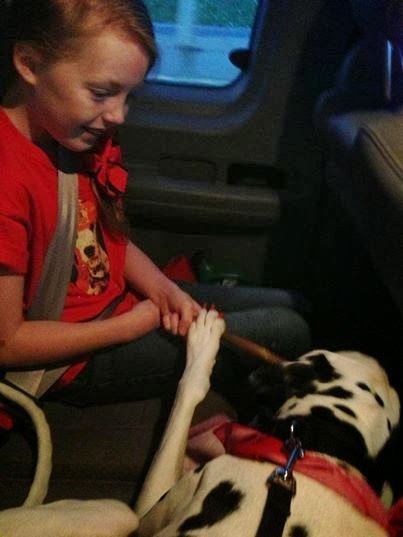 One of my BFF's, Chloe, and her Mom are going with us! I get to sit next to Chloe the whole way there! I'm so excited!!! 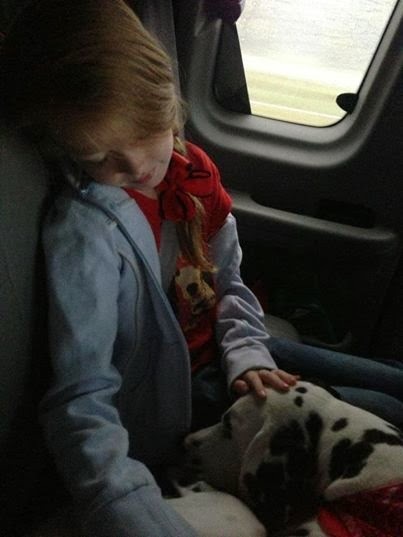 Taking a nap on the way to Little Rock with my BFF, Chloe. 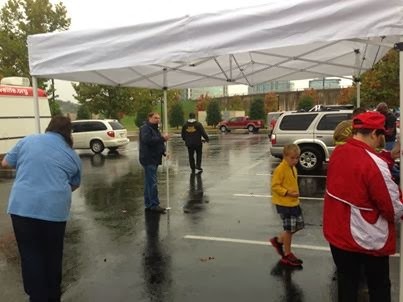 Setting up our tent yesterday outside the Clinton Library. 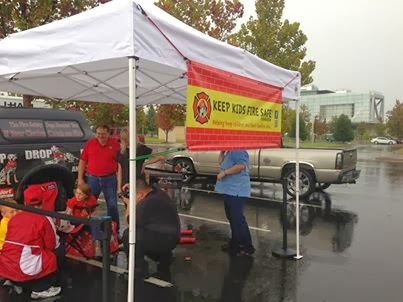 Thank you to the Little Rock Fire Department's Fire Corps for helping us set up! 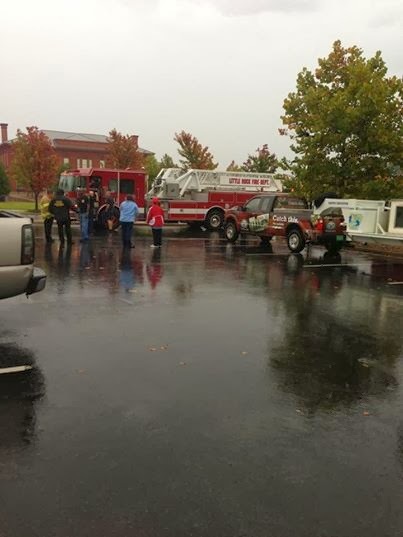 Unfortunately, the rain at the Fire Safety Day at the Clinton Library caused the event to be cancelled. 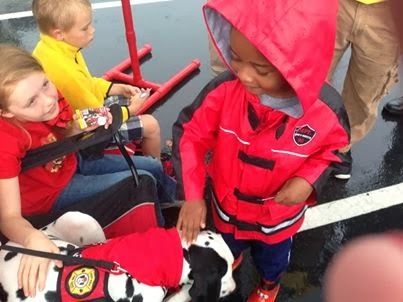 We were so excited that we got to see some children before the event was cancelled. Posing with Chief Gray. Thank you, Chief, for inviting us! 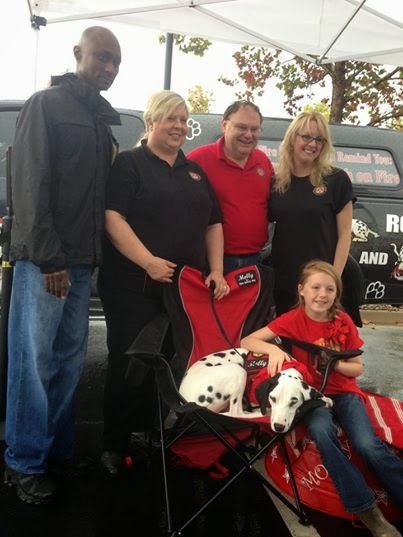 In this picture are Chief Gray, momma, Dad, and my BFF's Amy and Chloe. We love our new tent! In the background, you can see the Clinton Library! Thank you to Shirley P. for the new tent. 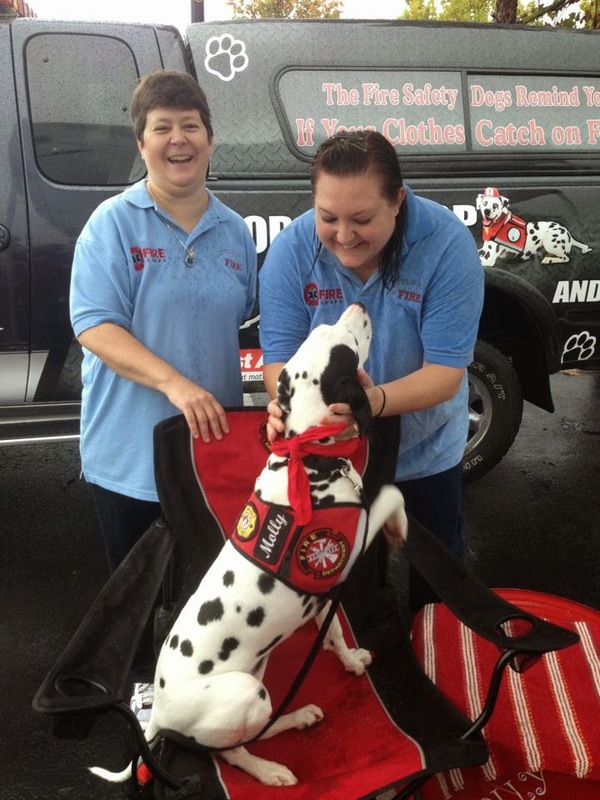 It helped us stay dry! I loved saying hi to everyone! 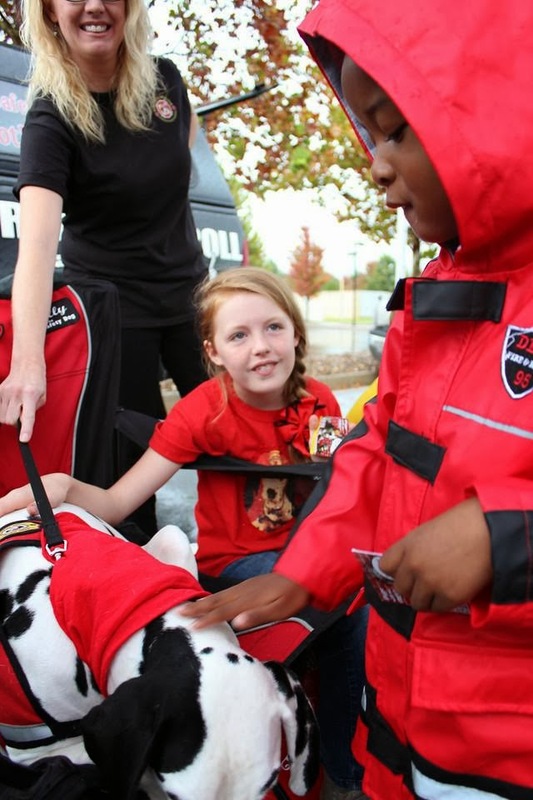 I met some of the Little Rock Fire Department's Fire Corps members, Regina and Amanda. They were so nice! 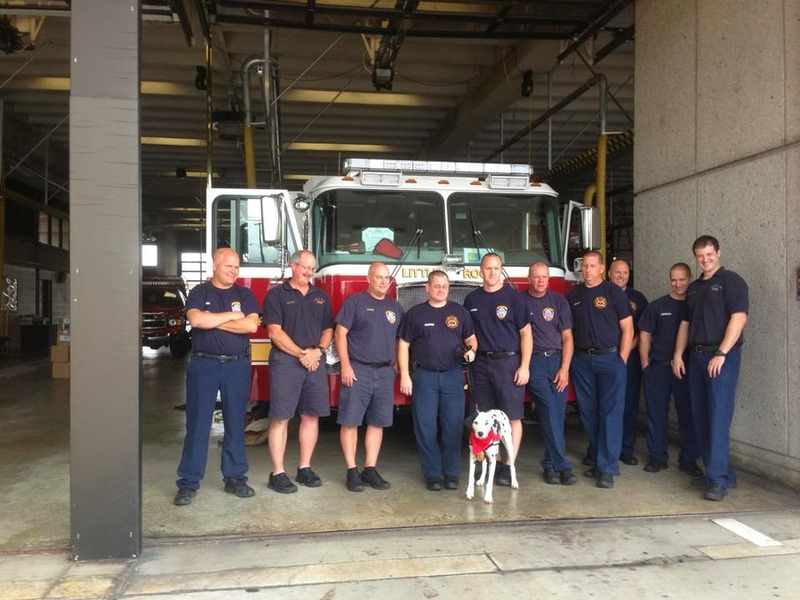 The firefighters at the Little Rock Fire Department were so nice! 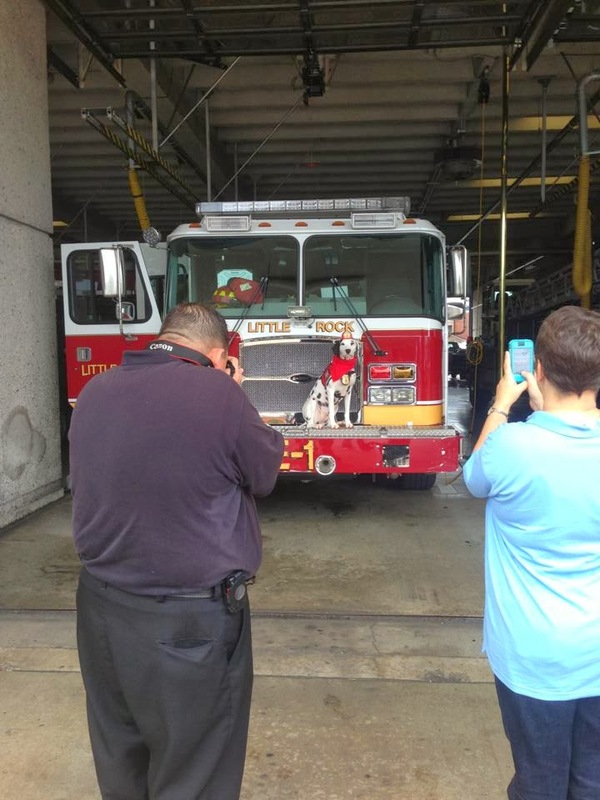 Oh look, it's the Pawparazzi! Giving Chloe sugars! Thank you for helping me, Chloe! 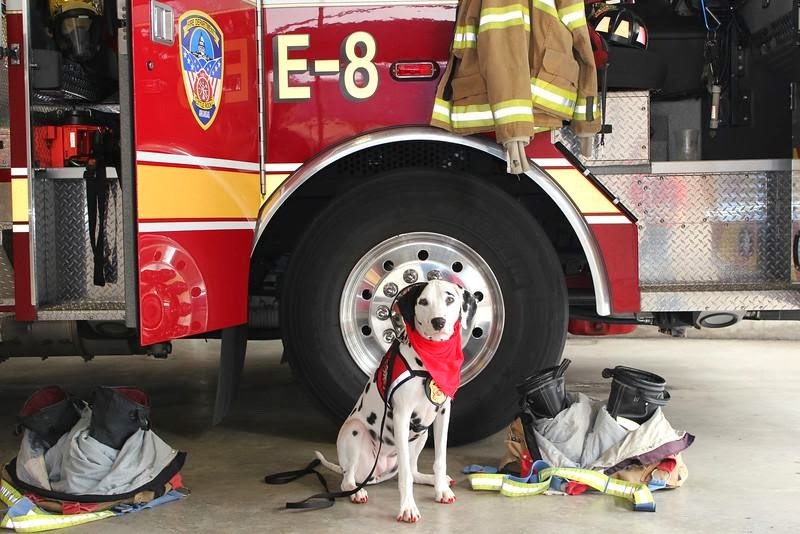 I love posing on fire trucks! How do I look? 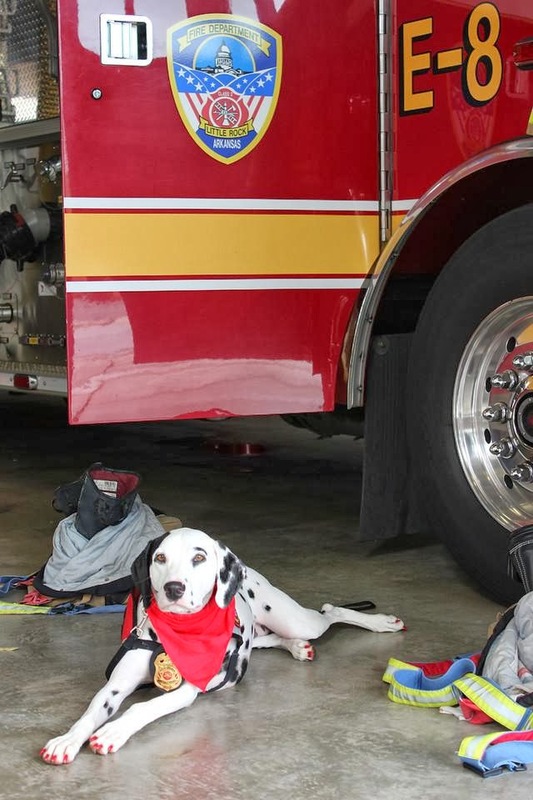 The floor at the fire station feels so cool and comfy! 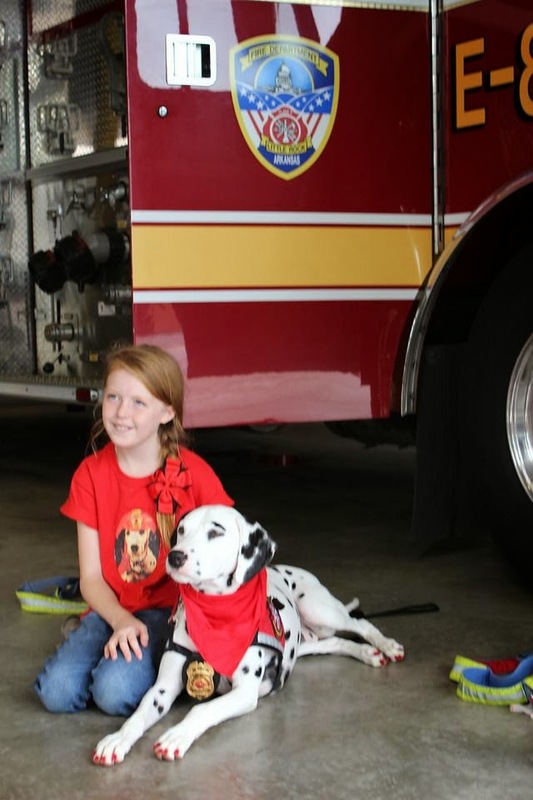 I love visiting the Little Rock Fire Department with my friend, Chloe! 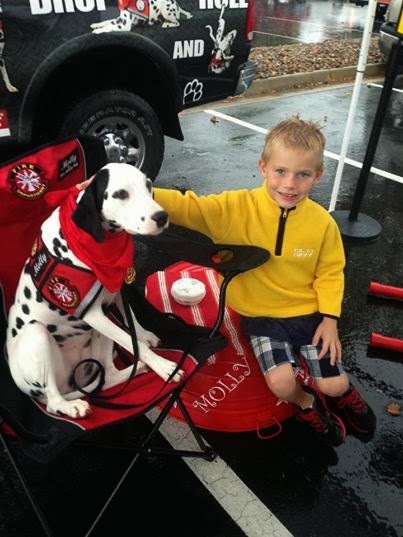 I love sharing the fire safety message! Thanks for the pawsome pix, Bo! 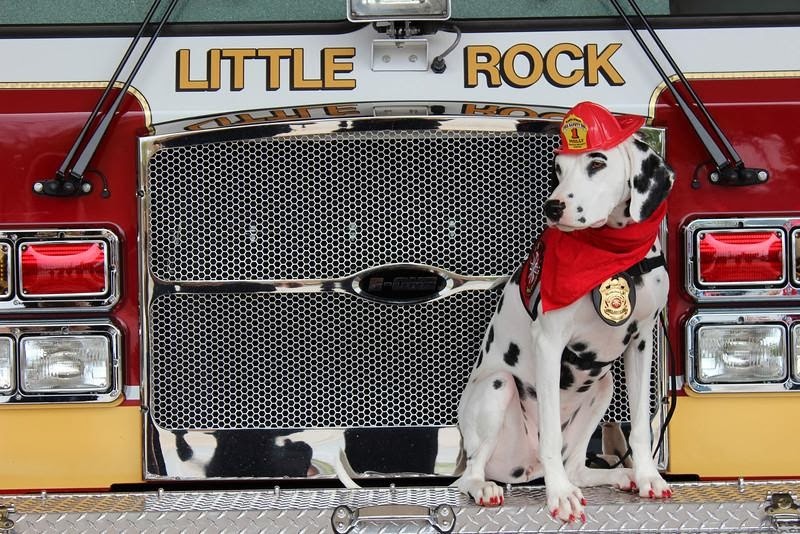 Thank you to everyone at the Little Rock Fire Department, especially Division Chief Joseph Gray and Firefighter Bo Hagar!